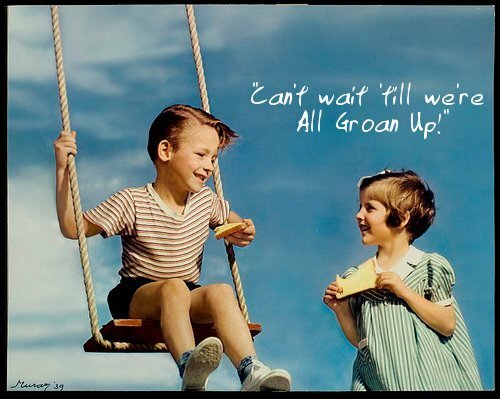 Emerging Adulthood is anything but simple or straight-forward. Emerging into adulthood feels like a early life crisis for many Millennials. That’s academician speak for: “This all groan up stuff ain’t easy“. The theory of Emerging Adulthood is so important. Thus why it became much of the research behind THE All Groan Up that you are currently eye-frolicking on. The theory of Emerging Adulthood is like a group of scholars rummaged through you and I’s Millennial mail one night. Then presented it back to us in a way that made more sense then when we read it ourselves. And why is emerging adulthood so important to understanding Millennials and those in their 20s? Let’s dive in. So what is Emerging Adulthood? Jeffrey Jensen Arnett, Ph.D is the leading scholar behind Emerging Adulthood. In a nutshell, the majority of those in their 20s within Westernized cultures go through an ambiguous waiting period between the transition from adolescence to adult. The typical “adult” markers of leaving home, getting married, and having children, are no longer the indicators that you have boarded the Adult Train. So many Millennials in their 20s are moving back in with their parents, delaying marriage, and switching jobs. The transition into adulthood has become delayed and subjective. What Career for Emerging Adults? 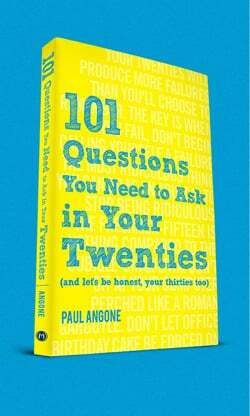 The questions, confusion, and exploration of career is a huge factor in emerging adulthood and feelings of crisis in your 20s. (Arnett, 2000) Plus there is added pressure to find the right career and rapid layoffs for emerging adults with little work experience. Millennial problems are real and very challenging. As well, emerging adults find themselves not exactly fitting within today’s working climate. In today’s economic crisis world wide there is little need for emerging adults to enter into the workforce as Baby Boomers hold off from retirement as they watch their 401k’s plummet and they redefine what retirement should look like. Therefore, emerging adult’s bachelor’s degree does not go far. They feel the pressure to return for further schooling and training, thus delaying a sense of stability (Arnett, 2007). One of the main struggles of emerging adulthood is the feeling of lost identity and self-definition amongst emerging adults. Atwood and Scholtz in Contemporary Family Therapy explain that growing up emerging adults received their self-worth through external success and accolades. When those are removed so is their sense of worth. Historically identity was defined in adolescence. Today identity is possibly being formed in emerging adulthood (Arnett, 2008). Emerging adults are on an intense search for personal authenticity, awareness, and personal definition. 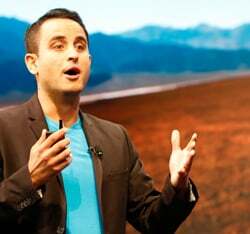 Robbins and Wilner in their book Quarterlife Crisis state that twenties are ripe with self-doubt and intense with introspection. Something that high-priced college education did not necessary prepare twentysomethings for. The quarter life crisis is real folks. And is one of the main reasons I wrote my book 101 Secrets For Your Twenties help Millennials going through a life crisis. Emerging Adults spend more time alone than any persons except the elderly (Arnett, 2000). In the most technologically connected generation in the history of the world, Millennials are extremely isolated. This isolation and anxiety created by seeing everyone’s amazing lives through social media is what led me to defining the New OCD Millennials are struggling with — Obsessive Comparison Disorder. A revaluation of faith and beliefs is a central part of emerging adulthood (Shuster and Mongetta, 2009). Yet during this period, emerging adults are less likely to be involved in religious institutions and disengage from the faith of their childhood and family background (Barry and Nelson, 2008; Arnett and Jensen, 2002). As I digested Emerging Adulthood nothing tasted so sweet and fulfilling – like eating an entire cheesecake without any of the guilt or gas. Because we’ve been told our whole lives to just keep climbing those stairs. Emerging Adulthood is what happens when we actually get off the stairs and start exploring. All the dead ends and wrong turns included. So if emerging into adulthood hasn’t been straight-forward. If you’re not quite sure if you’re an adult. 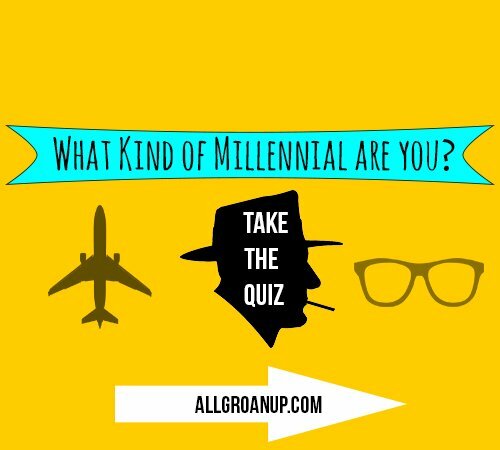 If you don’t know what kind of Millennial you really are. Well you my emerging adult friend, are not alone. 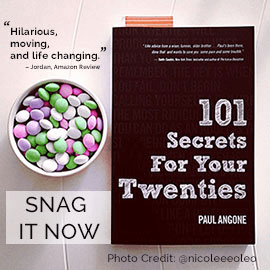 If you need some secrets for your 20s to help you make it through, start here. Arnett, J.J. (1998). Learning to stand alone: The contemporary American transition to adulthood in cultural and historical context. Human Development, 41, 295–315. Arnett, J. J. (2006). Emerging adulthood: Understanding the new way of coming of age. In J. J. Arnett & J. L. Tanner (Eds. ), Emerging adults in America: Coming of age in the 21st century. Washington, DC: American Psychological Association Press. Atwood, J.D. and Scholtz, C. The Quarter-life Time Period: An Age of Indulgence, Crisis or Both?. Contemporary Family Therapy: An International Journal, 30(4), 233-250. Barry, C and Nelson, L (2008). The role of religious beliefs and practices on emerging adults’ perceived competencies, perceived importance ratings, and global self-worth . International Journal of Behavioral Development, 32(6), 509-521. Robbins and Wilner, (2001). 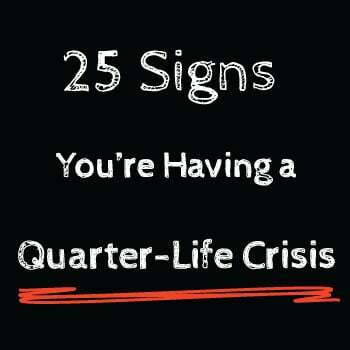 The Quarterlife Crisis. New York: Putnam. Shuster, M and Mongetta, J (2009). The influence of a small Christian university’s culture on selected characteristics of emerging adulthood. Journal of Research on Christian Education, 18, 206–234.